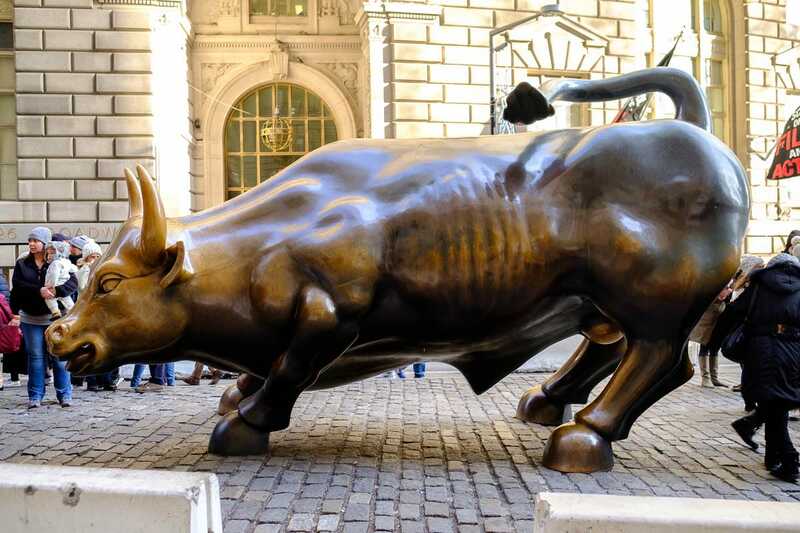 Despite being created less than 30 years ago, New York’s Charging Bull sculpture has become one of the most visited sites in New York City. 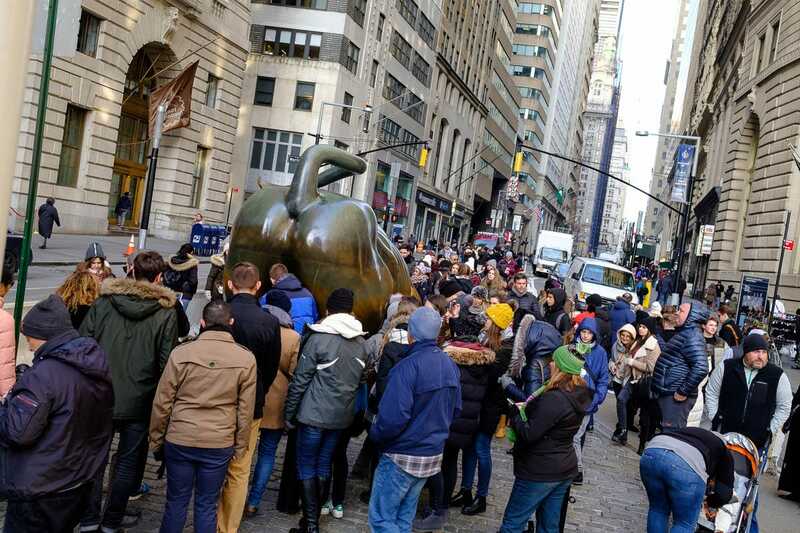 On any given day in Manhattan’s financial district, hordes of tourists can be found crowding around the sculpture, taking photos, or rubbing the bull’s nose, horns, or backside. 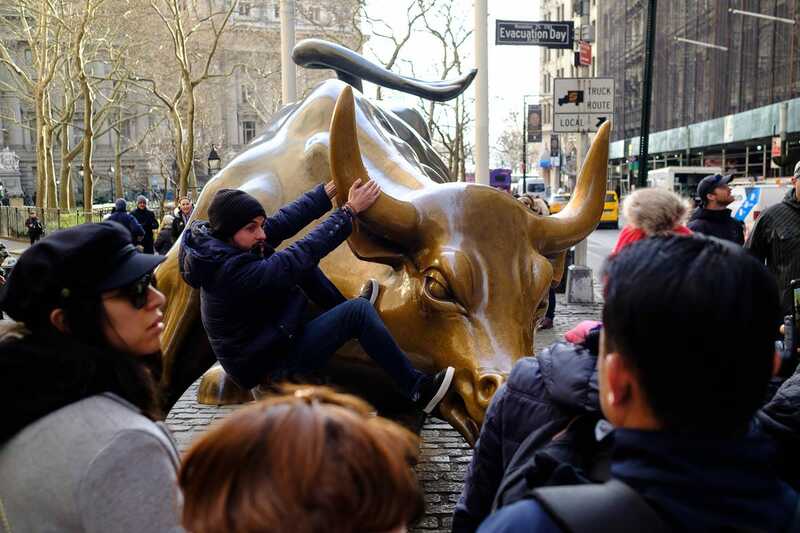 It’s no exaggeration to say that the bull has captured tourists’ imagination, coming to symbolise America’s financial prowess, greed, and Wall Street. But that wasn’t the intention, according to its creator. The Charging Bull statue is located in New York’s financial district, blocks from the New York Stock Exchange on Bowling Green park. Today the Charging Bull sculpture is one of the most visited tourist hotspots in New York, and the world. But it’s only been around since 1989. The sculpture began as a guerrilla art piece created by the Italian artist Arturo Di Modica. Di Modica installed it in front of the New York Stock Exchange using $US360,000 of his own money in December 1989. It was placed under a 60-foot Christmas tree as a kind of Christmas gift to the American people from the artist. He said the sculpture was in response to the 1987 stock market crash, calling it a symbol of the “strength and power of the American people.” He has also said it represents America and New York’s “can-do spirit,” where anyone can become successful with hard work and determination. Even at the time, there was some confusion over the sculpture’s meaning. If you ask tourists today, most will tell you it symbolises America’s money, power, greed, or high finance. A bull is traditionally the symbol of a good market and rising prices, because it attacks with its horns upward. 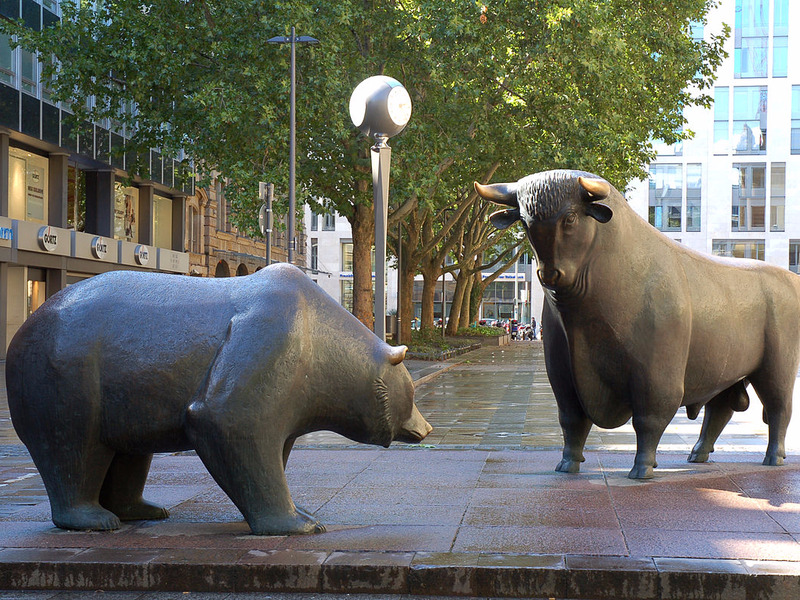 A bear is a symbol of a bad market, because it swipes downward when it attacks. Eva K./Wikimedia CommonsThis statue of a bear and a bull was erected in front of the Frankfurt Stock Exchange four years before Di Modica’s in New York. 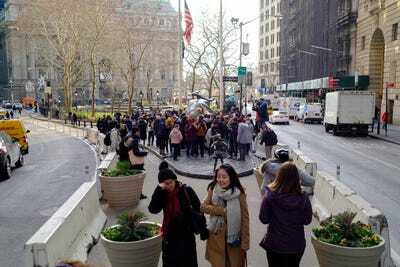 The New York police seized the sculpture the day it was installed and sent it to an impound lot. After a public outcry, it was brought back six days later and installed on Bowling Green, its present location. It very quickly became an iconic New York landmark. In 1993, Arthur Piccolo, the chairman of the Bowling Green Association, called it America’s most popular sculpture next to the Statue of Liberty. It’s hard to say why the 3-1/2-ton, 16-foot-long bronze sculpture is so popular. But people love to take photos in front of it, often doing goofy things. 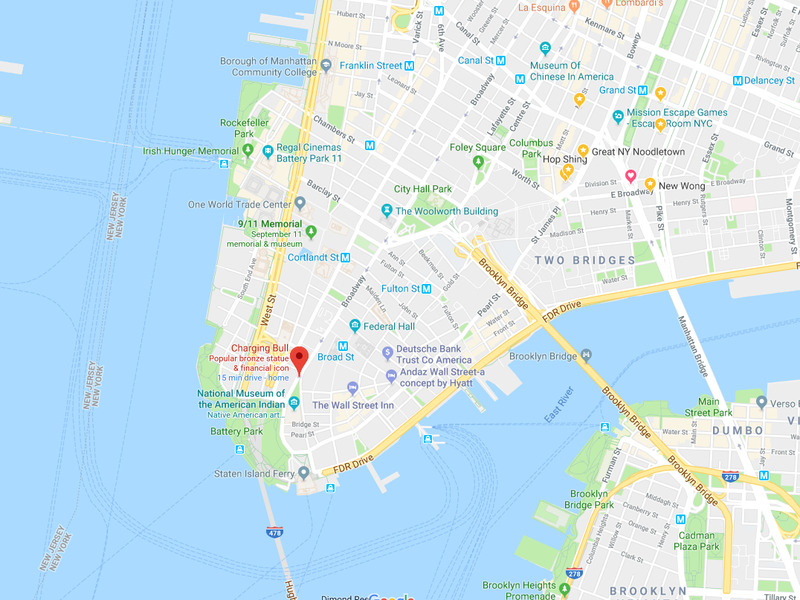 If I had to take a guess as to why it’s so popular, I would say it originally was due to its status as a guerrilla art piece, the symbol’s links to Wall Street, and its sheer size. 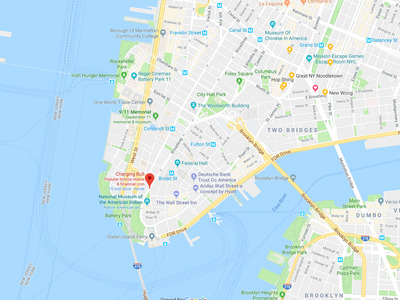 Lots of people like to visit Wall Street and the New York Stock Exchange because of its importance to the US and world economy, but there really isn’t much to physically see. The bull is a handy simulacrum for everything Wall Street represents. At this point, it’s probably simply famous for being famous. People love to rub various parts of the bull for good luck. 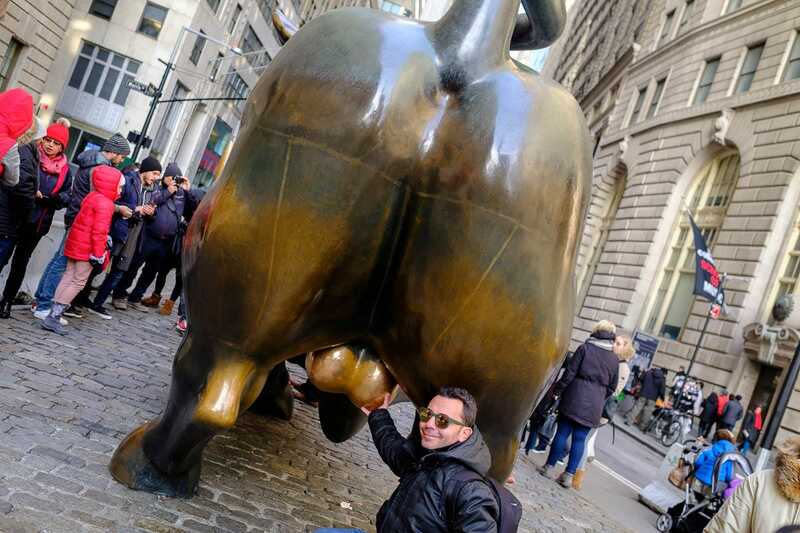 There is literally a line to take this photo with the bull most times of the day. It’s not clear where the tradition came from, but it wasn’t from Di Modica. 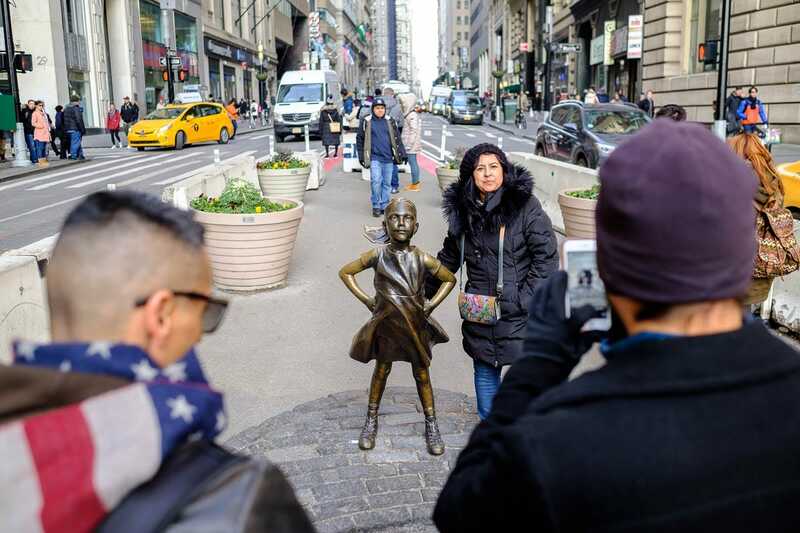 Earlier this year, the face of Charging Bull changed thanks to another piece of semi-guerilla art: Fearless Girl. 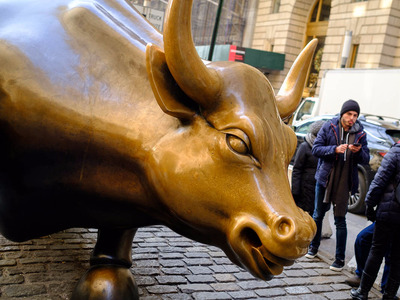 An American sculptor named Kristen Visbal was commissioned by the trillion-dollar investment firm State Street Global Advisors to create a sculpture to advertise the company’s index fund made up of gender-diverse companies. The company has been pushing other companies to add more female board members. 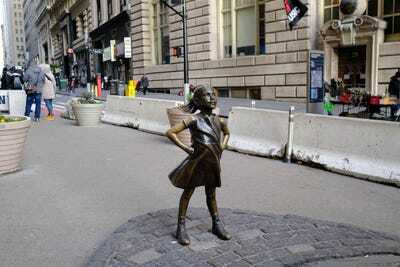 The sculpture, which depicts a defiant Latina girl, was installed in March facing the Charging Bull. The sculpture was supposed to stay for only one week but, after public petitioning, has been extended until February 2018. It has already captured tourists’ imaginations. Mayor Bill De Blasio said the timing of the installation, shortly after the postinaugural women’s marches, gave the sculpture added importance as a source of inspiration for many. Di Modica, the creator of Charging Bull, has said Fearless Girl has subverted the meaning of his sculpture and commercialized it without his consent.There were reports that Di Modica was trying to get the sculpture removed, but little has come of it so far. Ironically, many of the criticisms of Fearless Girl are similar to those levied against the Charging Bull when it was installed. Many decried the free publicity Di Modica received from the statue, as well as the fact that he circumvented the channels other artists go through to make public art works. 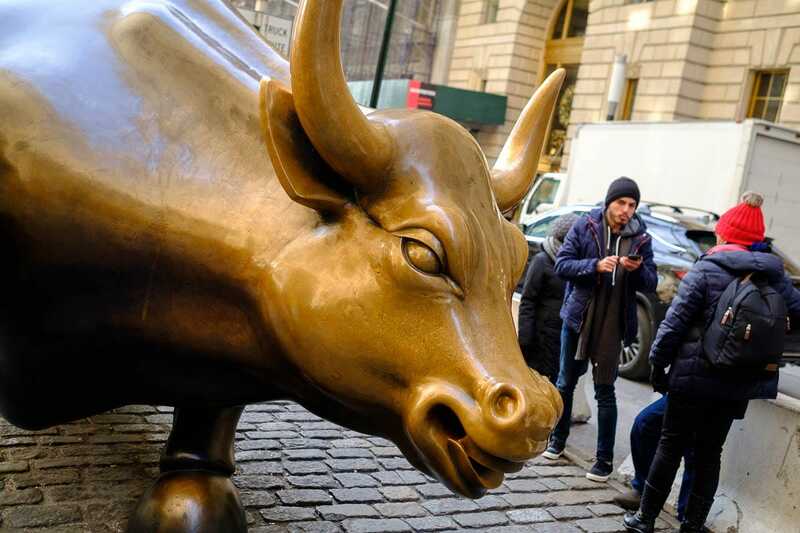 One of Charging Bull’s earliest advocates, Arthur Piccolo, has slammed Visbal’s statue. 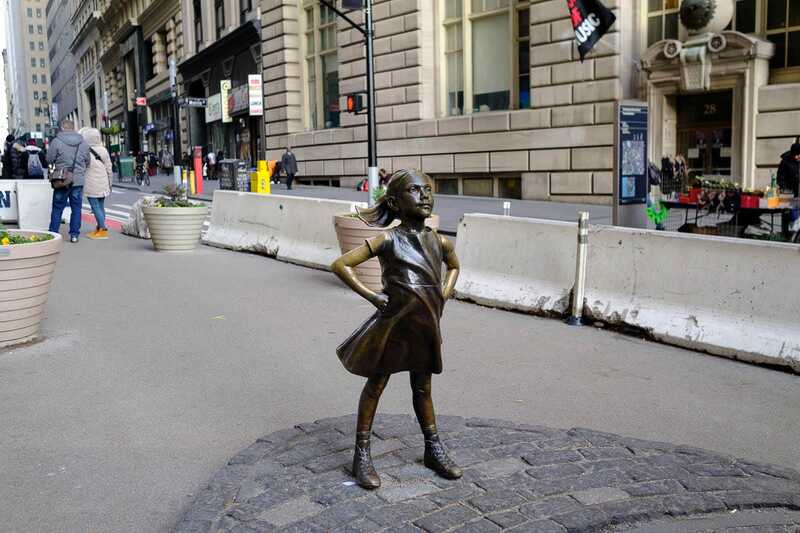 “The Fearless Girl project was always a SCAM allowing a TRILLION dollar financial firm to get many MILLIONS of dollars of FREE publicity on PUBLIC land,” Arthur Piccolo, chairman of the Bowling Green Association, told artnet News in October.